When we last tested Colombias two years ago we turned up several fine coffees, but generally were disappointed by the many samples that arrived bearing fancy names but displaying little distinction in the cup. Back then the trend toward select, precisely identified lots of green coffee (aka “direct trade,”“microlots”) seemed to have been honored more in name and hype than in distinction and quality. Many fell short even of a good commodity Colombia. Such was not the case this year, however: We were flooded with an almost overwhelming turnout of fine, often distinctive Colombia coffees, most of them farm-specific, many small-lot-specific. Thirty of these largely excellent coffees attracted ratings of 90 or higher. This rebound may be owing to several factors. For one, the run of unpredictable, often wet weather that compromised several years of Colombia coffee production ended with the largely coffee-positive weather of this past crop year. Secondly, more and more roasters, importers and producers seem to have bought into the idea of Colombia as a source of exceptional, distinctive or different coffees rather than simply a source of large volumes of dependable, consistent, though not particularly interesting coffee. Ever since the 1930s Colombia coffee production has been dominated by the admirable though inflexible presence of the National Federation of Coffee Growers of Colombia (FNC), the quasi-governmental agency that supports, promotes and regulates Colombia coffee. Focused squarely and honorably on supporting the well-being of all small-holding Colombian coffee growers, the FNC has relentlessly attempted to standardize the Colombia cup and promote it as the generically fine, predictable product of an entire country rather than as a pluralistic product built on the entrepreneuring efforts of individuals establishing their own relationships with the market. Rather than seeing the faces of individual producers we saw the face of one charismatic representative grower, Juan Valdez; rather than hearing about many different Colombia coffees we heard about only one, singular and monolithic: “Colombia, the richest coffee on earth.” I should say that this massive effort at standardization, however bureaucratic in its application, has been honorable in intent and quite effective in helping Colombian producers. But it has not encouraged the individual creativity and experiment upon which the current evolving high-end specialty coffee market is based. One small but telling indication of change in attitude among the leaders of the FNC, which regulates all imports of coffee from Colombia, comes in the momentous appearance in our reviews of a dried-in-the-fruit, or “natural” Colombia coffee, the Paradise Roasters Huila Million Pesos Natural (93). So far as I know, the Colombia Coffee Federation has never allowed a dried-in-the-fruit coffee to leave the country before this crop year, or allowed export of any coffee whatsoever that reflected deviations from the orthodox cup profile associated with “washed” or wet-processed coffees. True, the Paradise Huila Natural is a particularly clean-featured dried-in-the-fruit profile, with little of the edgy brandy-like fruit ferment that animates many high-end naturals, but its lush flowers and pungently juicy, guava-like fruit are clearly associated with its unorthodox processing method. Also indicating changes coming out of Colombia are two coffees reviewed here produced by Granja la Esperanza on its farm Cerro Azul. In this case, rather than pursuing differentiation based on alternate processing method, the producers have experimented with exotic botanical varieties of Arabica. The Tony’s Cerro Azul Geisha (95) is a delicate but quite exhilarating version of the lavender and chocolate character of the great Gesha variety, while the Equator Colombia Cerro Azul Enano (94) is perhaps even more original: A production from trees of an apparent spontaneous hybrid, a more compact-growing tree that simply showed up mixed among the bigger, leggier Gesha trees in the Cerro Azul fields. Based on this month’s sample, this unforeseen gift of nature may prove to offer an engaging variation on the flowers-and-cacao theme of the great Gesha profile. The other high-rated samples reported on this month would seem to have derived their distinctiveness from factors other than unorthodox processing method or exotic botanical variety. Like most Colombia coffees, they tended to be produced from a mix of tree varieties, some more respected than others but none particularly known for their striking cup character, and all were processed by variations on the orthodox wet or washed method. Their distinctiveness appears to be owing mainly to local differences in soil, typography and climate (the wine-maker’s original definition of terroir) as well as to subtle variations in wet-processing procedure. Some were distinguished by resonant depth of sensation, often with a sweet-savory edge. These included the Sightglass Colombia Finca Monte Verde (94), the Chromatic Colombia San Agustin (93), and the CodÄ Colombian Monserrate B (92). Others were crisper and brighter, with more flowers and an orangy citrus: the Kickapoo Organic Colombia Fondo Paez (93) and the Mr. Espresso Colombia El Bado (92). 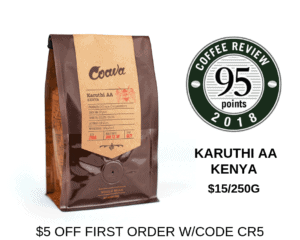 The PT’s Finca Santa Maria Caturra (92), produced entirely from trees of the Caturra variety, struck us as a fine variation on the old-fashioned Colombia cup: big, rich, complete. The Papa Lin’s Colombia Tolima La Aldea (92), on the other hand, was strikingly and pleasingly delicate: sweet, vanilla- and floral-toned, silky. The stories behind many of this month’s samples suggest another familiar aspect of specialty coffee entrepreneurship now at work in Colombia: long-term partnerships among producers, roasters and importers focused simultaneously both on coffee quality and on the economic well-being of the producers. For example, the well-known American coffee importer Café Imports has partnered with a Colombian exporter and the Cauca, Colombia departmental coffee committee to mount the “Million Pesos” program, a program designed to pay significant premiums to producers for coffee lots that rate 90 or higher. No information on who does the cupping and the rating, but it appears that whoever does it does it well, since two of the ten top-rated coffees we reviewed this month were Million Pesos coffees: the 93-rated Paradise Roasters Colombia Huila Million Pesos Natural and the 92-rated Papa Lin’s Colombia Tolima La Aldea. Other examples of the partnership trend from this month’s reviews: PT’s Coffee Roasting helped preserve the 2013 crop of its partner Finca Santa Maria (the PT’s Finca Santa Maria is reviewed here at 92) by fund-raising to support the farm’s expenses after it lost part of the crop and considerable equipment to bandits. And American coffee importer Atlas Coffee has developed a supportive long-term relationship with the PROAGROMIL cooperative in Monserrate, Colombia, involving both technical support and purchase premiums. 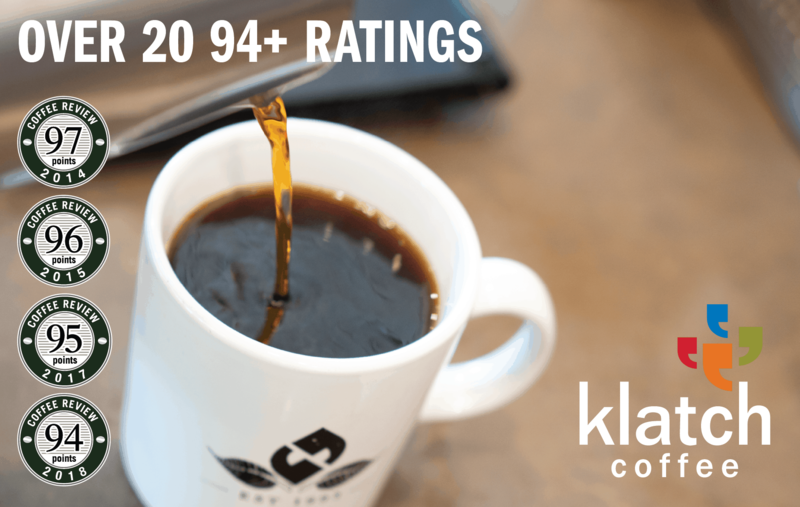 Two Monserrate lots roasted by CodÄ Coffee attracted high ratings this month, including the CodÄ Colombia Monserrate B reviewed here at 92.